Yoga is a spiritual and ascetic discipline, including breath control, simple meditation, and the adoption of specific bodily postures. Perfect your technique and performance and incorporate it into choreography set to the latest tracks. Open to all abilities, enhance your technique whilst improving and maintaining a high level of stamina, strength and flexibility. A Pilates class for all abilities designed to improve physical strength, flexibility, balance and posture, and enhance mental awareness. 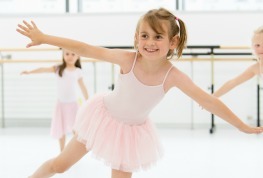 Designed to introduce children to the basics of ballet and encourage their natural ability and enjoyment for dance. This fun and energetic class focuses on developing contemporary and performance techniques. Learn quick and fancy footwork in this dance class which is open to those who would like to get back into tap or have never tapped before. A fun and sociable class, for parents with tots 9 months - 2 years, that uses themes, music, props, games and imagination. A fun and sociable class, for parents with tots aged three and four years, that uses themes, music, props, games and imagination. This course is a basic introduction to contemporary dance for 4 to 7 year olds with a focus on creating individual movement. This course focuses on developing musicality, co-ordination and confidence with a focus on creativity and developing the children’s’ own moves. 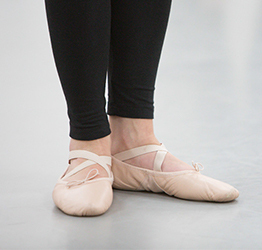 This ballet class is significantly more challenging than the Beginner Course and is suitable for those who have taken ballet classes for a year. 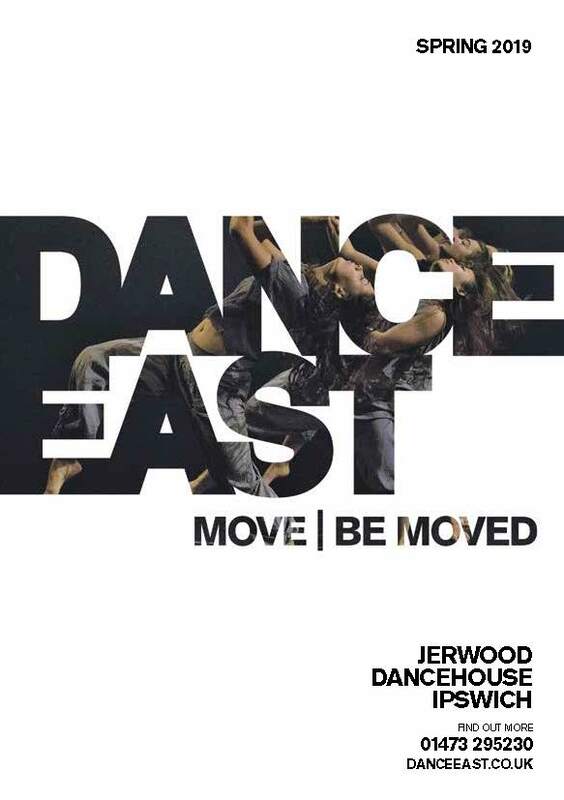 This course is a basic introduction to creative dance for 11yrs+ with a focus on creating individual movement. This class focuses on developing musicality, co-ordination and confidence with a focus on creativity and developing the children’s’ own moves. Keep fit, learn new skills and have fun at the same time in this creative class for the over 50s. 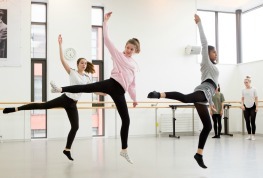 Dancing to musical theatre tracks and learning routines inspired by West End productions is all part of the Musical Theatre Dance course for 7 to 11 year olds. 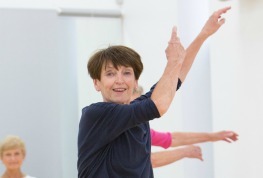 Keep fit, learn new skills and have fun at the same time in this contemporary technique class for the over 50s. This course is an introduction to contemporary dance where the children will create and develop their own movement and choreography. 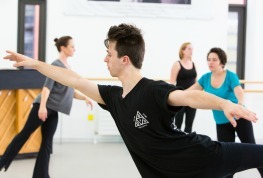 This NEW class will focus on ballet techniques, including your alignment, posture and co-ordination. 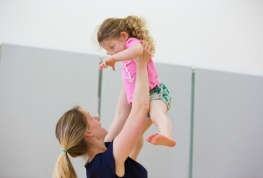 This fun and energetic dance class is for children with additional needs. Learn quick and fancy footwork in this dance class which is open to those who have knowledge of tap technique. 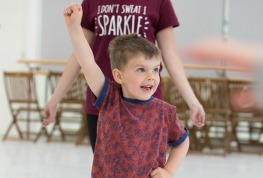 A class for children with additional needs which uses dancing games and exercises to improve co-ordination, social skills and gross motor skills whilst having great fun! 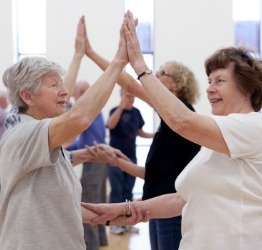 This class is for those with Parkinson’s, their friends and family. Discover the themes, choreography and music of English National Ballet's current repertoire in a welcoming and informal environment. This time also includes refreshments before & after the session. 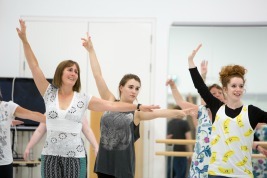 ** Please note: Pay As You Dance classes are only bookable one week in advance. Open sessions that are suitable for all levels of ability. 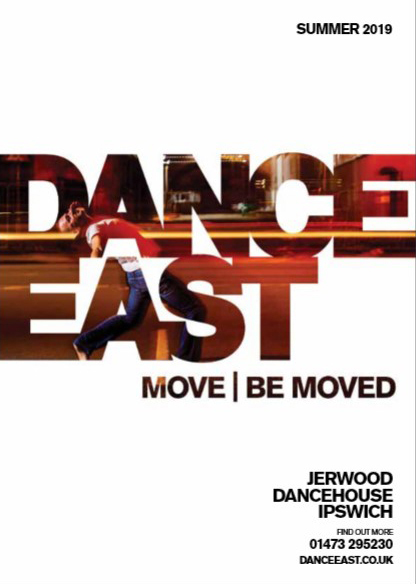 Suitable for those with little or no experience in the given style, those returning to dancing after a prolonged break or those looking to start afresh. Suitable for those with some dance experience or who have completed at least two terms in the beginner classes and are looking to improve their technique and learn more complex material. Sessions suitable for those with additional needs. Carers are not required to attend unless personal care is needed.